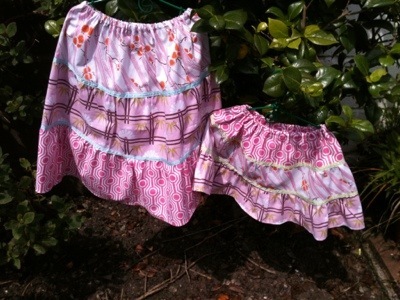 I had lots of small pieces of fabric left over from other projects so I thought I would make a couple of summery skirts for my two smallest nieces. It also gave me the opportunity to practise with my new gathering foot for my serger. 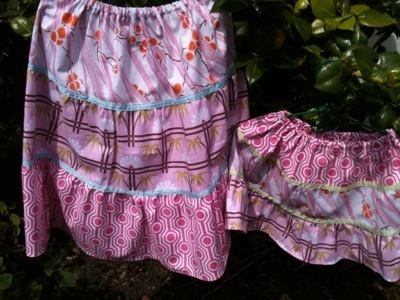 To finish them off I have trimmed them with contrasting gingham ribbon. 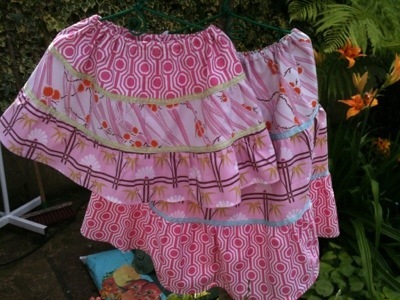 a wonderful idea for fabric left overs!